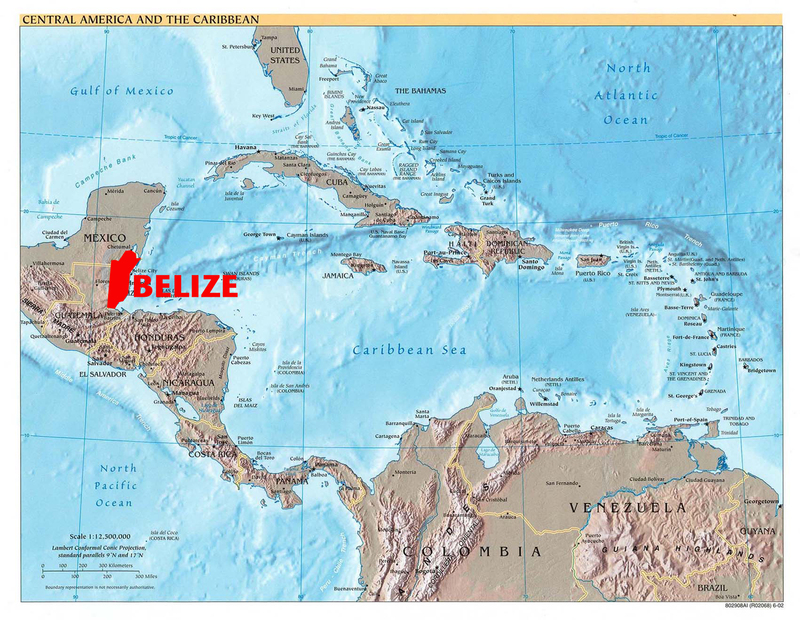 In an earlier post I mentioned that I had just arrived in Belize for a week of teaching (September 8-12). At the time I promised a more substantial report. In short, my week of teaching was a wonderful experience. Now for the details. The course I taught was called “God and Nature I” and was focused on the Bible’s teaching about creation, including the role of humanity, and how redemption in Christ affects both humanity and the entire created order. “God and Nature II” (later in the semester) tends to be focused more on theological and justice issues concerning the environment. These “God and Nature” courses are foundational components of a semester abroad program for North American students in Tropical Ecology, sponsored by the Creation Care Study Program (CCSP). 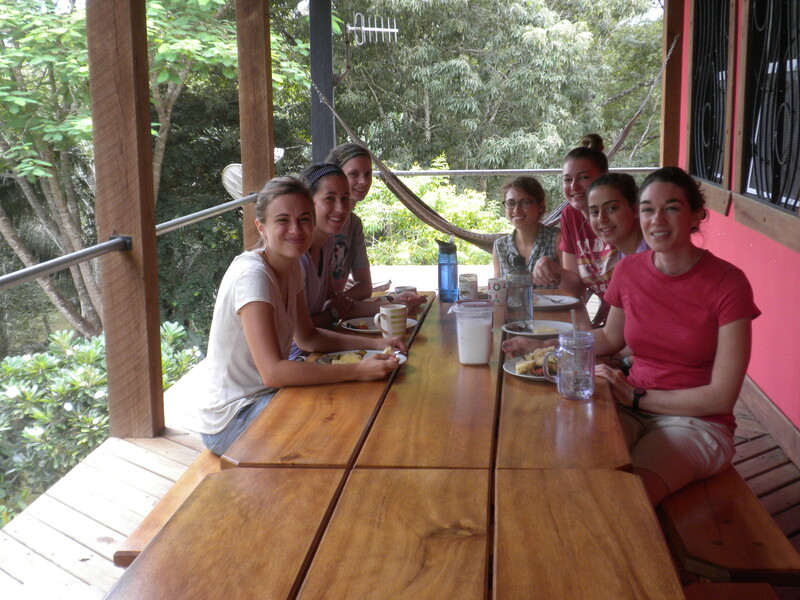 The CCSP sponsors study abroad semesters in both Belize and New Zealand. 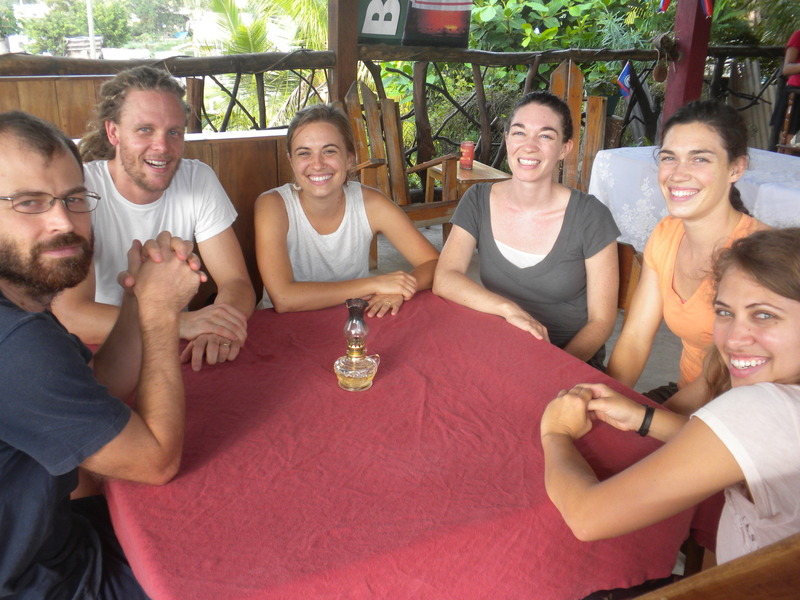 Besides the “God and Nature” courses, the students also take courses in forest ecology, stream ecology, field ecology, environmental literature, and three weeks of internships with various organizations around Belize. And they get a couple of travel weeks during the semester, when they can visit other places in Belize or other Central American countries. The students are drawn from about thirty Christian colleges and universities in the USA and Canada that have a standing agreement with CCSP. The students I taught this semester were from Gordon College, Messiah College, Dordt College, and George Fox University. 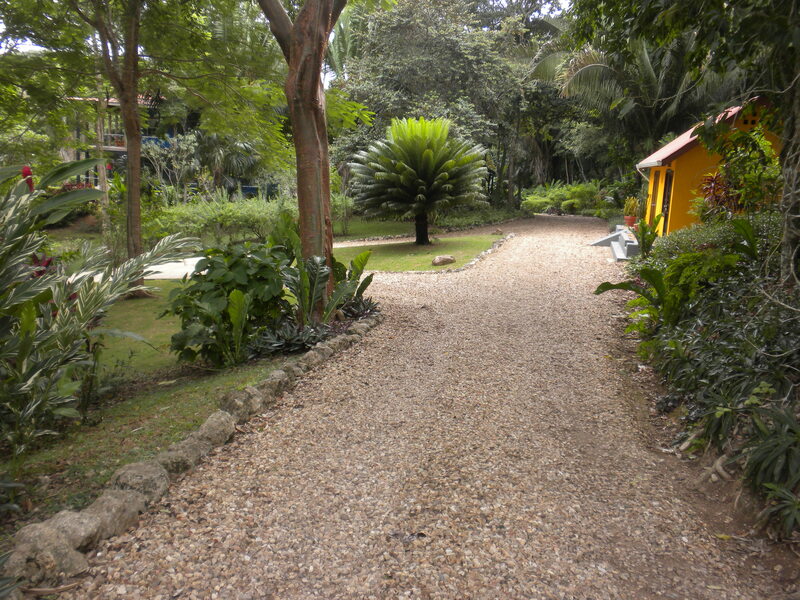 The Belize Program is located in a lush, almost jungle-like area, near the Guatemala border. 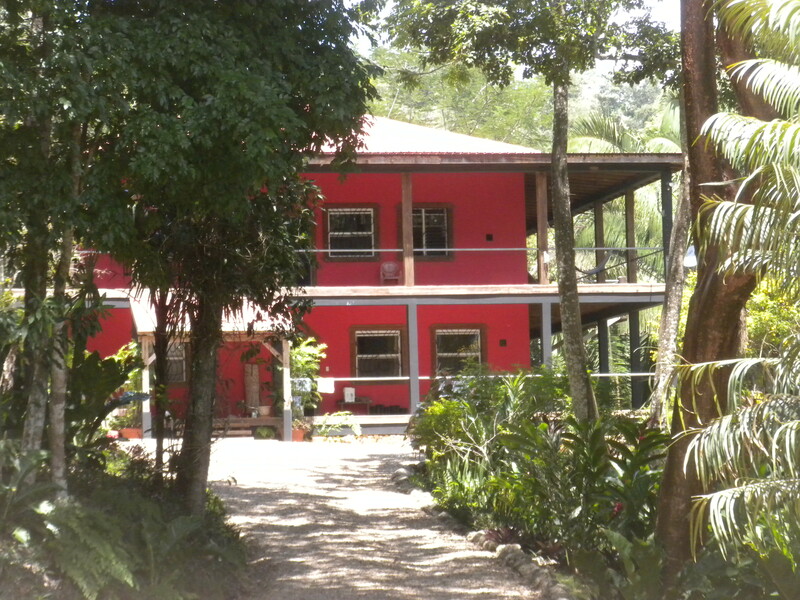 The closest populated area is known as the Cayo District, consisting of the towns of Santa Elena and San Ignacio (joined by a bridge across the Macal River). I arrived on a Saturday afternoon and was met at the airport by Josh and Nina (two of the US staff) who drove me two hours inland from Belize City to the Cayo district. The landscape gradually changed in the last half-hour from drier scrub and sparser trees to lush jungle at a slightly higher elevation. 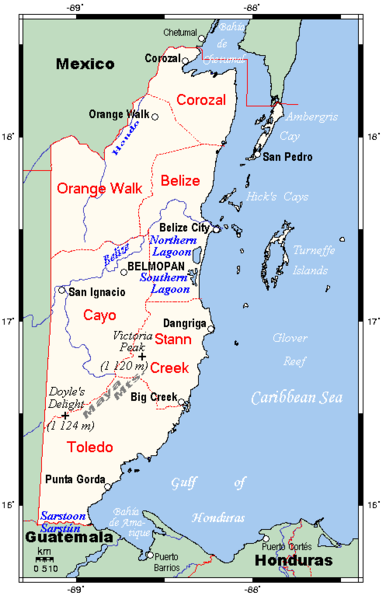 Belize is twice the size of my home country of Jamaica but with a population of just over 300,000, whereas Jamaica has a population of nearly three million. It is really still in many ways a frontier country. English is the official language, taught in schools, and is spoken by the majority of the population, along with Spanish, Creole (which is similar to Jamaican English) and a variety of other languages. 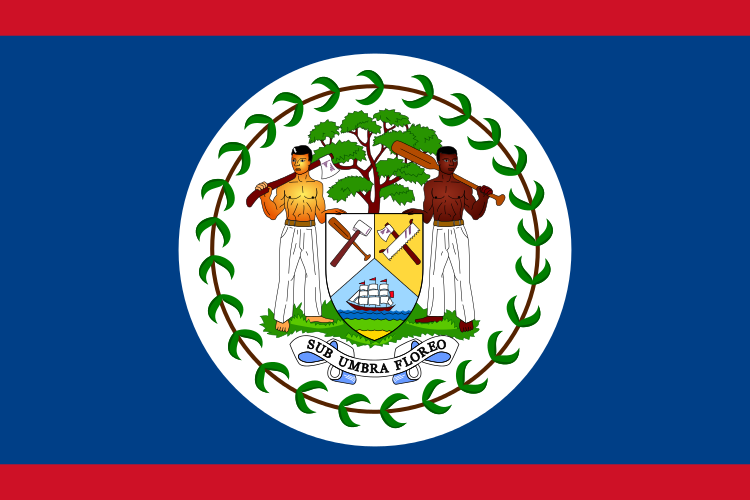 I found Belize to be an amazingly multi-cultural country, where diverse people and language groups live side-by-side. Maya (descendants of one of three language groups of the Mayan civilization which populated central America a thousand years ago; many still speak their ancient languages); this is about 15% of the population. Mestizos (descendants of Mexican and other Central American immigrants, often with some Mayan heritage, who tend to speak Spanish); this is about 50% of the population. Creoles (descended from Africans with some European heritage, who speak Creole); about 20% of the population. 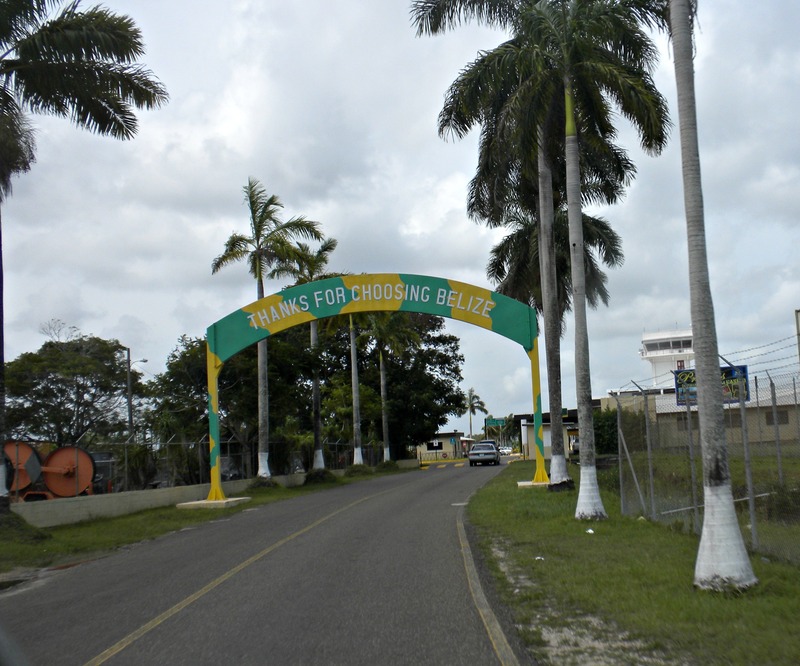 Garinagu—plural of Garifuna, which describes the language and culture (descendants of African slaves who intermarried with indigenous Caribs on the island of St. Vincent; after the British took over St. Vincent, many were exiled to Honduras and some arrived in Belize in 1802); about 7% of the population. The remaining population is East Indian, Chinese, and Caucasian (including a substantial number of Mennonites, who speak Plautdietsch, a form of low German). I taught three hours in the morning and two in the evening, with afternoons off. The weather wasn’t overbearingly hot (low 80s, and even down to 75 at the end of the week) with some rain most days or overnight. But the humidity was very high (over 80%), which required me to change my shirt multiple times each day (I haven’t had to do that since living in Jamaica, usually when the temperature was in the high 90s). The buildings on the CCSP campus were all brightly painted. There were a couple of two-storey buildings, one that included student and teacher dorms and a sizeable area for classroom and library (blue), while the other consisted of staff housing, along with the main kitchen, dining area, and lounge (red). There were two smaller buildings—a cottage (orange) for the program administrator (and spouse) and a supply shed and laundromat (yellow). On the first full day there (Sunday) I went with the staff and students to an 8:00 am service at an English-speaking Anglican church in nearby San Ignacio, followed by breakfast in town. 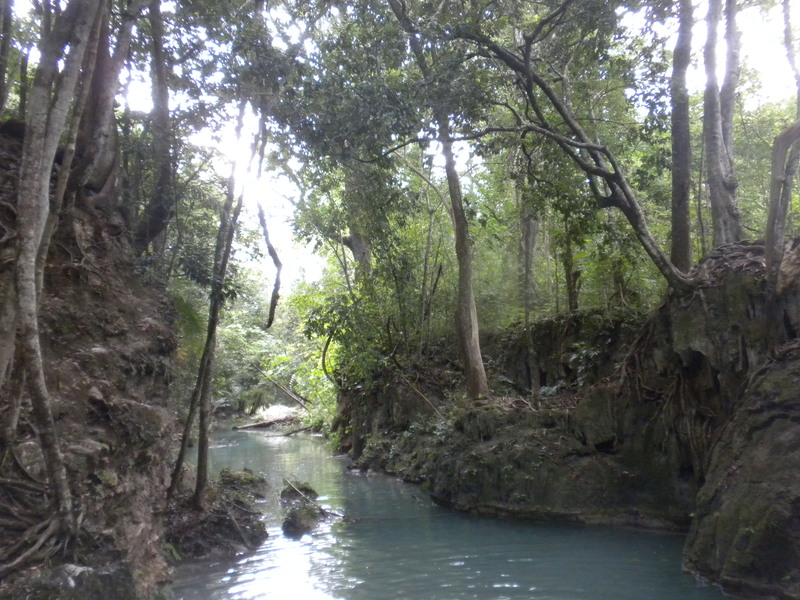 Since my afternoons were free, I got to visit a small waterfall (Monkey Falls) for swimming (no monkeys), an internet cafe, an outdoor restaurant, and a Mayan ruin (Cahal Peck), all in or near San Ignacio. On the campus (on different days) I saw a (non-poisonous) snake on my path as I was walking down to the nearby river, a lone iguana by the side of the driveway, and seven toucans playing in a nearby tree, chasing away the other birds and eating berries. I also heard a howler monkey at lunch one day, but didn’t actually see it (it sounded far off). 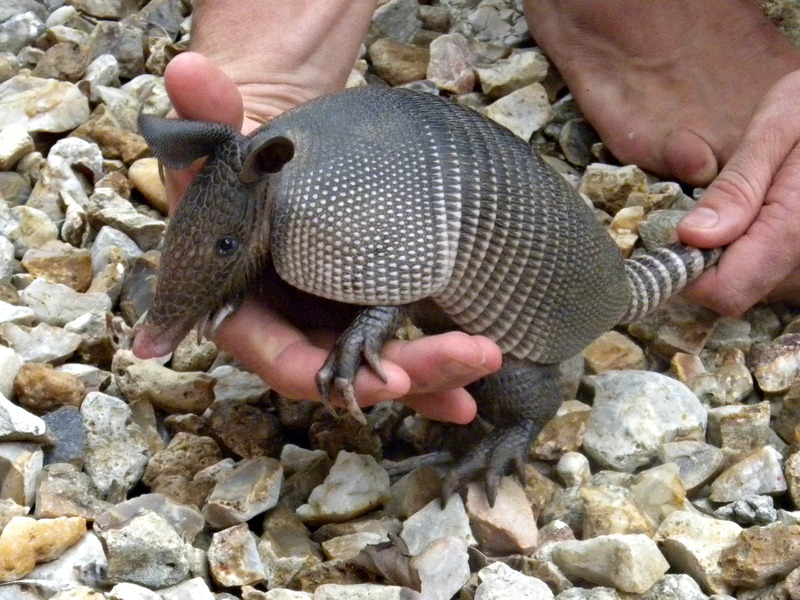 One afternoon I was able to see a baby armadillo up close that one of the staff (Jesse) caught (then let go). The most memorable thing about the trip was getting to know some wonderful people. I had a great group of students, who were very engaged with the course content and worked to internalize and reflect on the significance of the Bible’s worldview for their lives. The program staff included two married couples, Micalagh (the program director) and Josh (the facilities manager), and Annie (the program administrator) and Jesse (internship and cross-cultural coordinator). Nina and Tess were both student life coordinators and teaching assistants, with other duties too (such as managing the kitchen). It was a joy getting to know this committed and principled group of Christians, whose care for both people and the environment was evident. We had two great cooks, Ms. Flora and Ms. Shirley, who consistently provided wonderful meals. The food was almost entirely vegetarian—rice and beans, tacos, vegetable stews, guacamole, fresh fruit, eggs, and (a couple of times) chicken. Everything was tasty and well-spiced (I didn’t need to pour on the habanero sauce that almost everyone added as a condiment to their meals). There were four security guards who did shifts round the clock. 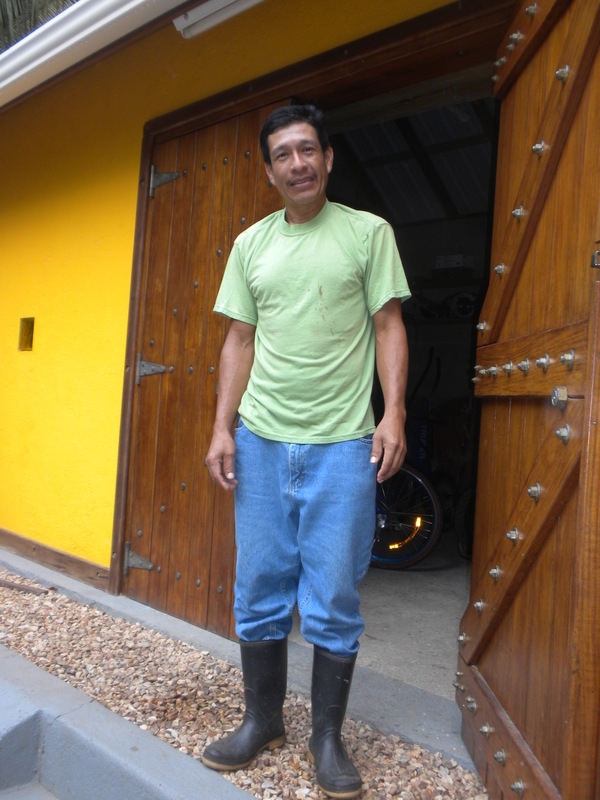 I got to meet three of them, and had great conversations with Abner, whose family is originally from El Salvador. And there was a dedicated groundskeeper named Trinidad, whose efforts made the entire campus beautiful. The next most memorable thing bout being in Belize, besides the people I met, was the pace of life. I had been preparing for the teaching (developing a syllabus, with readings, assignments, etc.) with a certain amount of anxiety, which came from knowing I would be in a new place with five hours of teaching each day and no first-hand knowledge of what to expect. But this anxiety dissipated entirely by mid-week, to be replaced by a sense of relaxation and mellowness. This was quite a change from the stress of the past summer, as I had been dealing with writing and editing deadlines for a book and some essays (which thankfully all got completed), as well as negotiating speaking engagements for the upcoming year. By mid-week (Wednesday afternoon) I found myself in rhythm with a slower pace of life, with few distractions (only intermittent Internet access and no committee meetings), and I began to feel part of this small community of faith and learning. 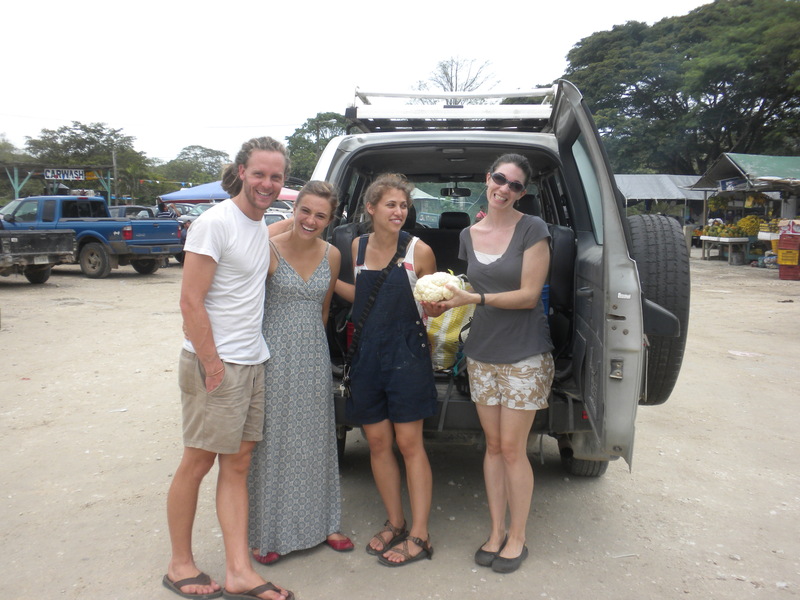 Near the end of the week, I went with the staff to do shopping in San Ignacio, including a stop at the local market. One afternoon I picked up a guitar (resting in the corner of a communal lounge) and began to play, after having hardly played for the entire past year (life had been that busy). Initially, my fingers seemed stiff and the music didn’t come easily, but by the end of the week I was in the groove, playing an hour or more each day. Since Belize, there has been an undeniable element of culture shock at being thrust back into American life. Besides the much faster pace, plus having demands, deadlines, and meetings suddenly piled back on me (not to mention the desperate emails from students, needing help with different things), I found I was surprised at attitudes to food and portion sizes in restaurants (after eating lower down on the food chain for a week). Yet I’ve been able to bring some of the mellowness back to Rochester (my wife keeps mentioning that I am nowhere as stressed as I had been). Among other things, I’ve been playing the guitar more and I’m trying to swim regularly at a nearby gym. Drinking my coffee black (as I had done in Belize, since milk wasn’t always available) has also helped; I found I can taste the coffee better now. 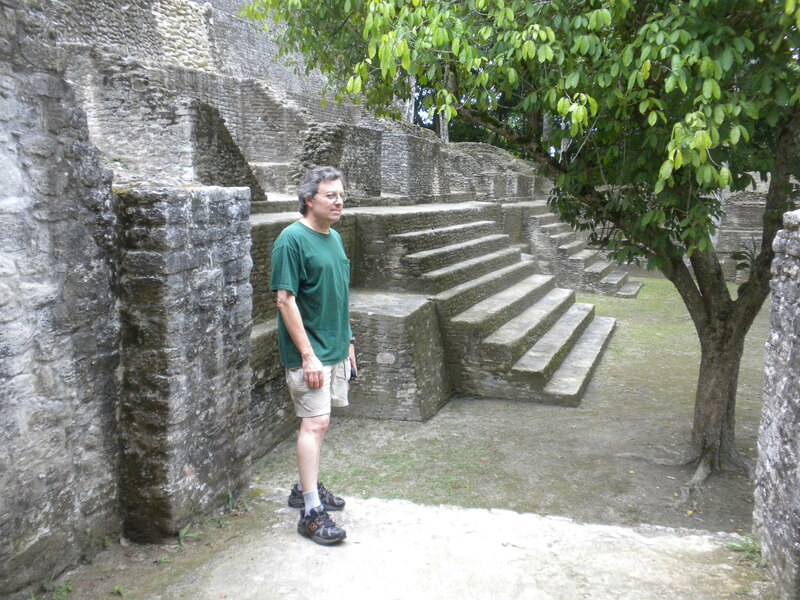 Would I return to Belize to teach “God and Nature” again? No question about it; I hope it will be soon. This is my response to questions raised by Jon Garvey in his post called Middleton on the empty temple. Click here to read this post in it’s context on Jon Garvey’s wesbsite, along with responses and comments. This is a post by Jon Garvey on his blog called The Hump of the Camel, where he interacts with a recent post of mine on humans as God’s image. In that post I argued that God’s intends humanity to be the locus of divine presence in the temple of creation. The Hump of the Camel is a fascinating website that addresses questions of theology and science, especially in the area of origins. In the course of his post Jon asks a number of questions for clarification. I will shortly post my answers to his questions. Richard has, since the publication of his book, increasingly stressed the ANE ritual equivalent of that concept, namely the way in which the image of a god in a temple manifests the presence of the Deity. This, too, is encouragingly consistent with the line I’ve taken here, based on the work of John Walton and G K Beale, especially. It resonates well with the “cosmic temple” approach I’ve taken to the Genesis creation story in particular, and the biblical concept of creation in general, most recently in my waving a cautious flag for one of the less influential patristic writers on cosmology, Cosmas Indicopneustes. Richard too integrates his concept of the imago dei with the temple imagery used throughout Scripture. Click here if you want to see this post in its original context, with comments and discussion. 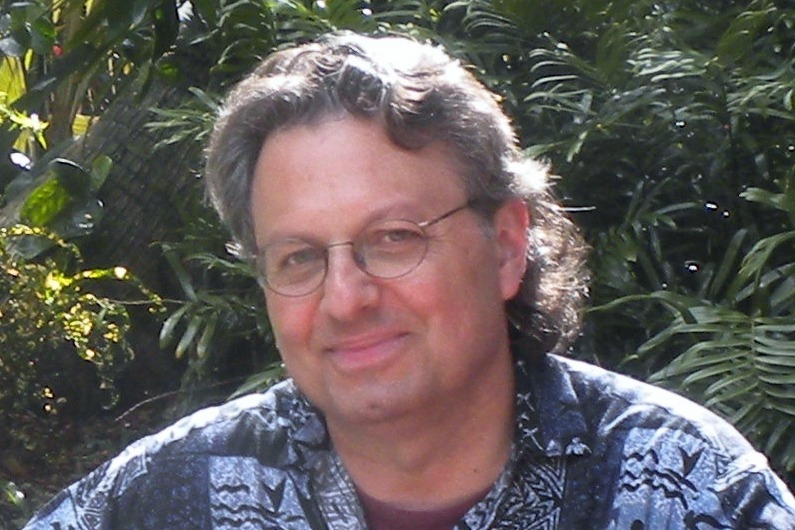 In the above post, Jon Garvey raises some important interpretive questions; I have responded to these questions in a follow-up post.